Under the patronage of Dr. Ahmad bin Muhammad Eshi, Dean of the College of Applied Medical Sciences, Umm Al Qura University (UQU), the Department of Clinical Nutrition headed by Dr. Haifa Bint Hussain Hijazi, and the members of the Advisory Committee in the Department organized a scientific meeting with Prof. Salwa Karboune, Associate Professor of Food Science and Agricultural Chemistry, McGill University, Canada. The meeting was held at the College’s premises on Monday 27th Rajab 1438H (24th April 2017). It aimed to discuss the protocols of cooperation between UQU and McGill University, especially in the domain of scientific research and joint supervision of the Department's lectures and instructors. 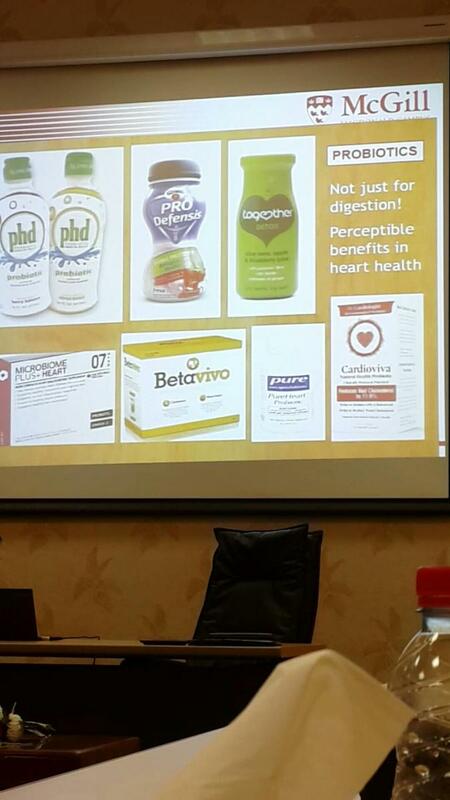 Prof. Karboune presented scientific lectures on (Bridging the Gap between Food Requirements and Food Product Combinations: An Overview of the Nutrient Requirements of Major Nutrients and Micronutrients). Moreover, she discussed how each ingredient affected the characteristics of the food product. She also reviewed the development of practical food products with emphasis on the preparation of functional food products that provided health benefits. The meeting was attended by the vice-deans of the College, a group of staff members at the Departments of Clinical Nutrition and Laboratory Medicine, as well as the instructors, teaching assistants and students at the Department of Clinical Nutrition. The Dean of the College praised the meeting, which fell within UQU’s research plans, and benefited scientific research students, especially the teaching assistants and instructors of the Department of Clinical Nutrition. He also extended deep thanks and gratitude to UQU President for removing the obstacles that may have faced the completion of such significant scientific meetings that should be held at UQU. Then, the Dean of the College honored the host professor. On the other hand, Prof. Karboune expressed her deep thanks, pointing out to the efforts exerted by the College and UQU to hold such meeting, and commended the hospitality and good reception she received there.